One of London's least-known museums serves up one of the city's best value afternoon teas. It's purely a sweet affair — sarnies are skipped altogether, which may deter afternoon tea connoisseurs — but scones, jam and cream, and cake are all present and correct. It's served in the museum's elegant and light Orangery, tucked away down a Greenwich side street. The Fan Museum, 12 Crooms Hill, Greenwich, SE10 8ER. No booking, just turn up. £9 + museum admission per person. 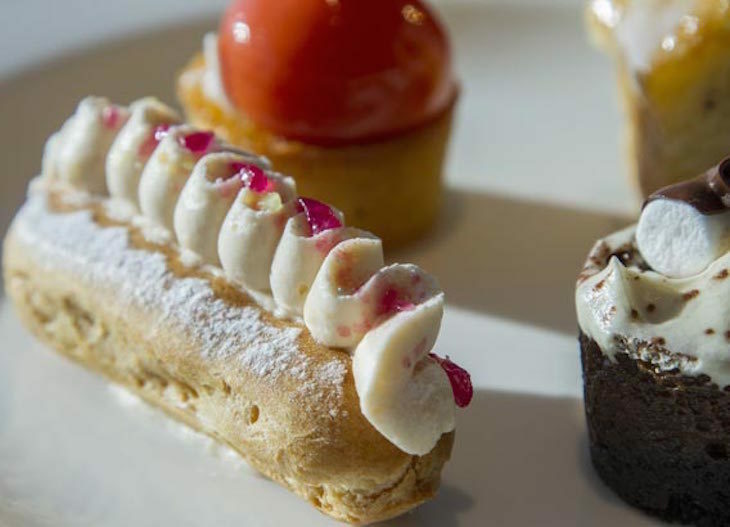 A lot of thought has gone into the menu of the V&A's afternoon tea, which was put together with the help of a food historian to reflect the food that Queen Victoria herself might have eaten. The menu includes nasturtium open sandwiches and asparagus and parmesan tarts — and, of course, Victoria sponge cake. Even the crockery and cutlery are nods to antique pieces dating from Victorian times. It's served in the museum's Morris Room, named after William Morris, and one of three rooms which constituted the world's first museum cafe when it opened in 1868. The setting is every bit as opulent as you'd expect. V&A Cafe, Cromwell Road, SW7 2RL. Booking required. £30-£35 per person. Served on Sundays only. Ever swooned at the roof of the Great Court? Well, turns out you can swoon and stuff your face simultaneously, ticking all those tourist boxes at once. 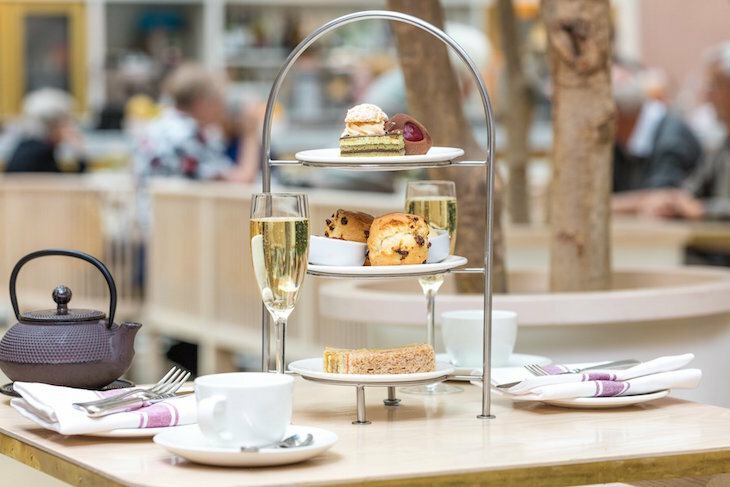 The Great Court Restaurant serves a pretty traditional afternoon tea — egg mayo and Coronation chicken sandwiches make an appearance, along with scones, jam and cream. The aubergine and chocolate torte is a bold move, but macaroons are also served for those who prefer to keep things traditional. The Great Court Restaurant, Great Russell Street, Bloomsbury, W1CB 3DG. Booking required. £19.50-£25.50. Served daily. 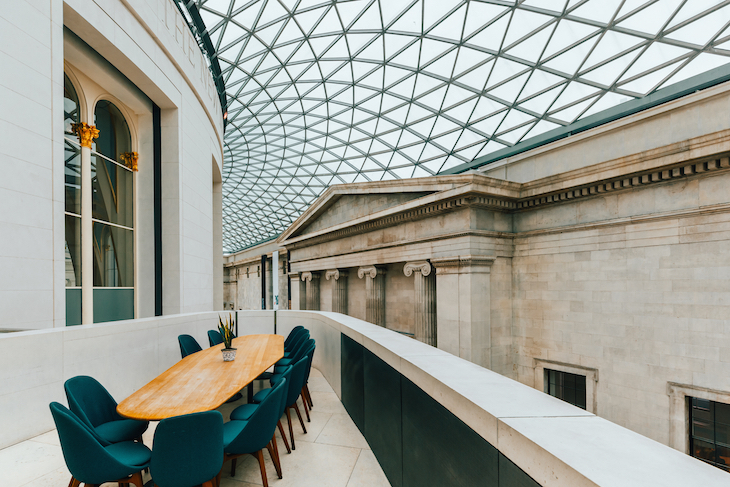 The National Portrait Gallery serves sandwiches, scones and cakes in its Portrait Restaurant and Bar. The menu generally includes a good selection of sandwiches and savouries (first time we've seen salad in an afternoon tea), plus scones, and a few fancies for desserts — but it changes every season so keep an eye on the website for the latest one. 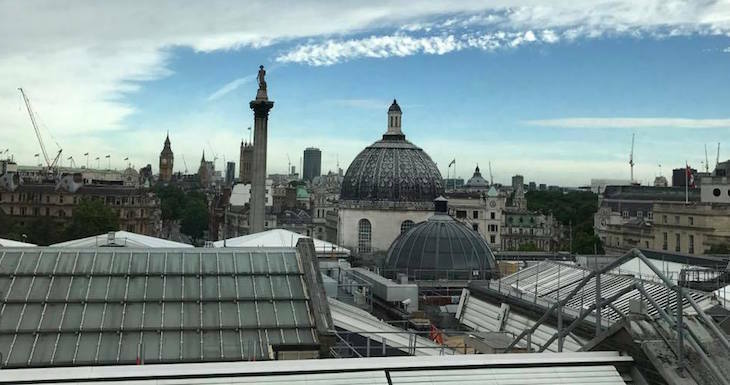 Best of all, the restaurant has views over Trafalgar Square and beyond, taking in the likes of the London Eye, House of Parliament and Big Ben (currently under scaffolding, natch), making it ideal for touristing. Portrait Restaurant & Bar, St Martin's Place, WC2H 0HE. Booking required. From £27.50 per person. Served daily. Next door to the National Portrait Gallery, the National Gallery also has its own afternoon tea. The menu and theme gets switched up occasionally, depending which exhibitions are currently on (at time of writing, a Monet Parisian Afternoon Tea is on the menu). The cakes and sandwiches may vary depending on the theme, but the scones are a staple. National Dining Rooms, Trafalgar Square, WC2N 5DN. No bookings. From £22.50. Served daily. 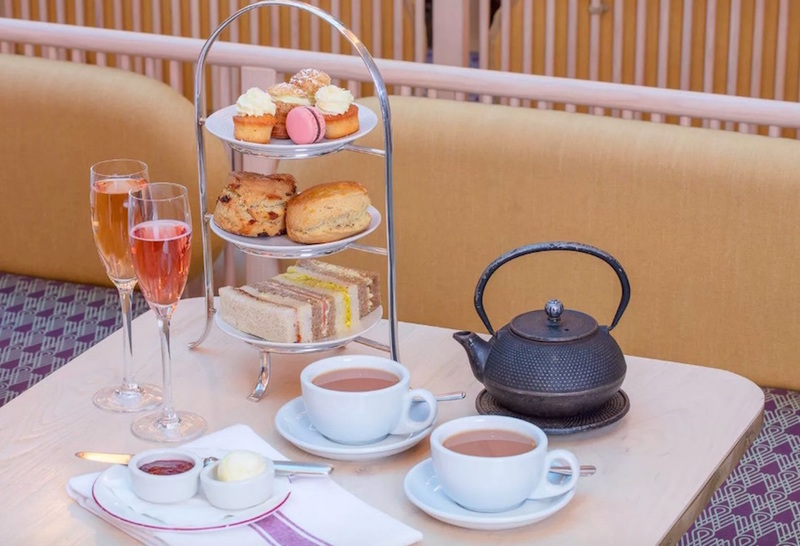 In a gallery renowned for its opulence, it's no surprise that a luxurious afternoon tea is served in splendid surroundings — the room will garner as many Instagram likes as the food does, with a glass ceiling, pink walls and trees dotted throughout. 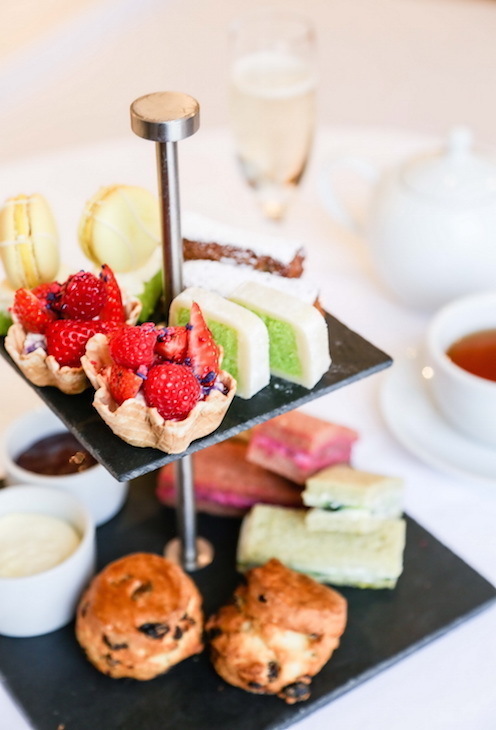 The menu is standard afternoon tea fodder — finger sandwiches, scones and an assortment of cakes, but the choice of tea is an impressive one, offering Venetian Rose, Nettle, and Vanilla Chai alongside the usual English Breakfast and Earl Grey. The Wallace Restaurant, Manchester Square. Booking required. From £18.75 per person. Served daily. Banish all thoughts of scurvy by topping up your nutrition levels at the Royal Afternoon Tea. It's very British affair, with egg mayo sarnies, mini Victoria sponge cake and strawberry and cream tartlet on the menu. You can visit the cafe without visiting the museum, so one to bear in mind if you find yourself peckish in Greenwich Park. Parkside Cafe & Terrace, Romney Road, SE10 9NF. The nearby Cutty Sark also offers afternoon tea. Another great value afternoon tea is available at this science-focused museum and library. 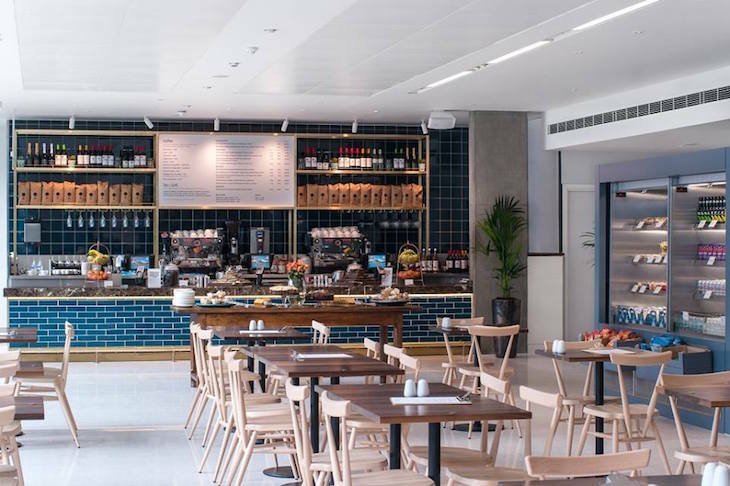 Build up an appetite in the exhibitions, then head to the Wellcome Kitchen for a selection of cakes, mini sandwiches and scones. If you're only mildly peckish, there's a Cream Tea instead — two scones, jam, cream and a cuppa. Lovely. On second thoughts, some of the exhibits here can get a bit gruesome, so perhaps eat before you explore? Wellcome Kitchen, 183 Euston Road, NW12BE. £12 per person/£22 for two. Cream tea £8 per person. Gallery Mess in Chelsea has pretty much every culinary eventuality covered, from breakfast and brunch, through to cocktails and wine, and afternoon tea. Tuck into sandwiches, warm scones and seasonal cakes surrounded by vaulted ceilings, exposed brickwork... and of course, works of art. Know of any other museums and galleries that serve afternoon tea? Let us know in the comments.